In what is being billed as Spain’s “trial of the century,” a dozen politicians and activists face charges in the Supreme Court over their involvement in Catalonia’s push for independence in 2017. WHAT ARE THE ORGINS OF THE CONFLICT? The trial is the result of a political crisis that has its roots in an earlier ruling by a Spanish court. Catalonia is one of Spain’s wealthiest regions and enjoys broad authority to self-govern. 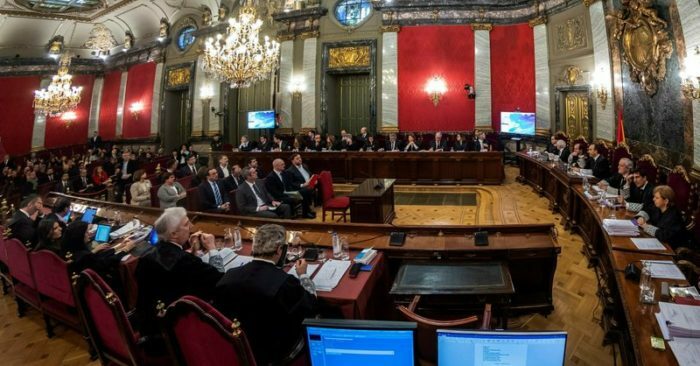 But Spain’s Constitutional Court ruled in 2010 to strike down parts of a new regional charter, including the preamble that referred to Catalonia as a “nation.” The ruling helped the Catalan separatist movement swell its ranks. 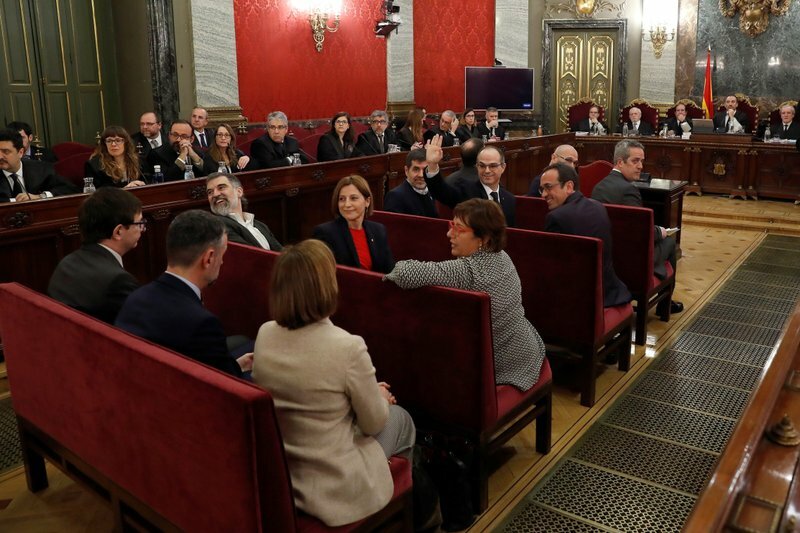 In November 2015, separatist Catalan lawmakers passed a motion to start down the secession path and pledged to ignore any more adverse decisions by Spain’s courts. They triggered Spain’s deepest political crisis in decades less than two years later by pushing through two laws to allow an independence declaration via results from the banned referendum. A little less than half of voters in the region of 7.5 million residents support pro-independence parties. WHO IS BEING TRIED AND FOR WHAT? 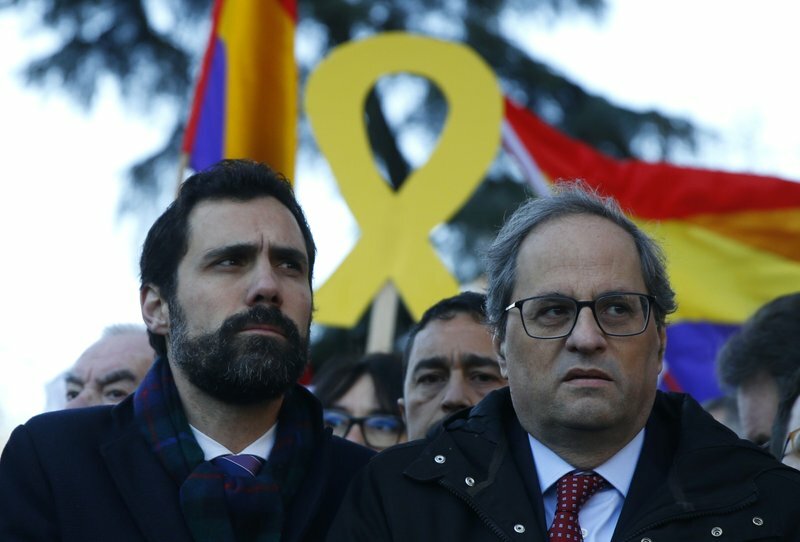 The separatists on trial include ex-Catalan vice president Oriol Junqueras; activist-turned-politician Jordi Sanchez, activist Jordi Cuixart and the former speaker of Catalonia’s regional parliament, Carme Forcadell. 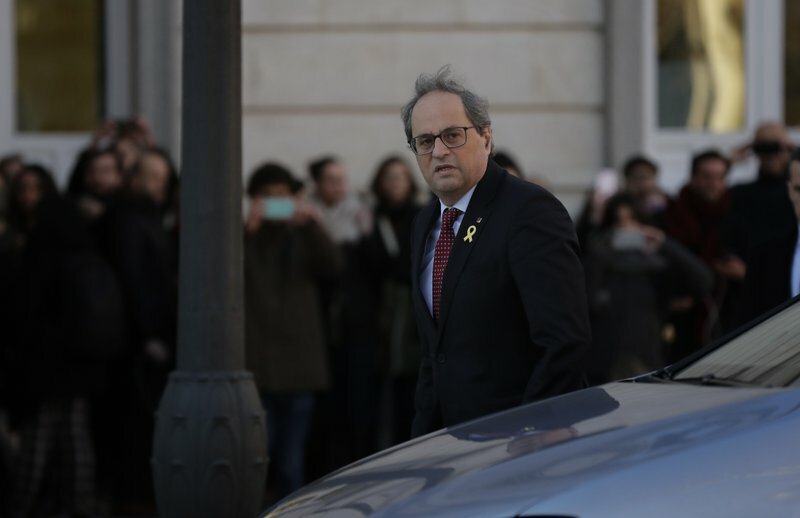 The other six men and two women were members of the Catalan regional cabinet. They are Jordi Turull, Raul Romeva, Joaquim Forn, Meritxell Borras, Dolors Bassa, Josep Rull, Carles Mundo and Santi Vila. Junqueras faces up to 25 years on charges of rebellion. Cuixart, Sanchez and Forcadell face 17 years. 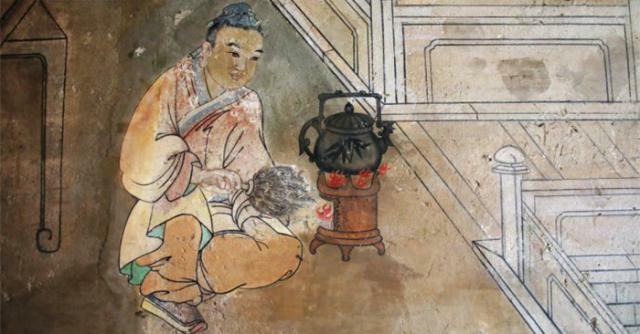 Some face the lesser charge of disobedience. The former government members face fines if found guilty of misuse of public funds to hold the referendum. Rajoy will be one of more than 500 witnesses called to testify. WHY IS A FAR-RIGHT PARTY PART OF THE PROSECUTION? One of the issues that is raising eyebrows in this case is the fact that the upstart, far-right political party Vox sits in the prosecution bench. Vox is acting as the “popular prosecution,” a peculiarity of Spanish law which allows individuals or entities to take part in certain criminal cases even when they haven’t been directly harmed by the accused. Vox joins the two other prosecutors in the case: the public prosecutor, and the state attorney, whose client is the government. One central issue of the trial is whether or not the separatists used violence in their breakaway attempt. Without violence, the charge of rebellion won’t stick. State prosecutors and Vox will argue that violence took place when the accused allegedly incited protesters to trash police cars and impede police officers from leaving a government building in Barcelona during raids in the buildup to the referendum, and that police officers were also injured when they clashed with voters while seizing some ballot boxes used in the banned referendum. The defense will counter that voters were victims of police violence, not aggressors. 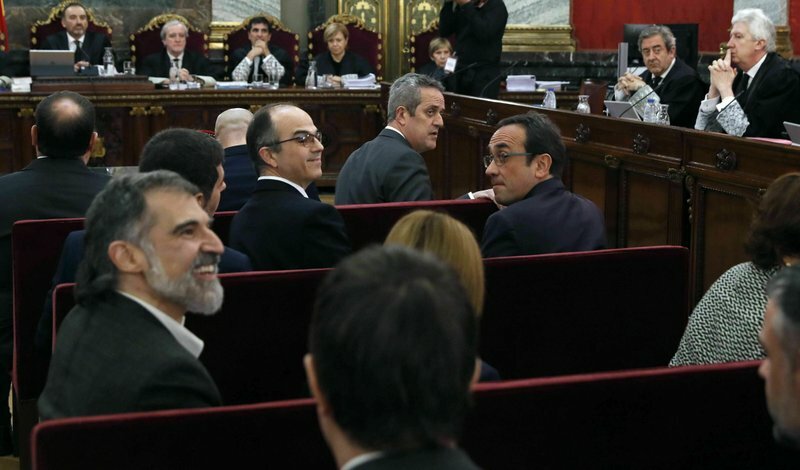 The central government’s attorneys, who are also the third prosecuting party, decided not to seek rebellion when a new socialist administration took power and started a dialogue with Catalonia’s ruling separatist parties. Instead, the state attorneys will try to prove the lesser charge of sedition, which doesn’t require violence and carries lower prison terms. The trial proceedings are public and will be broadcast live on television. After testimony and attorney arguments conclude, announcing the verdicts and the imposing of any sentences would take several more months. The trial verdicts will be open to both defense and prosecution appeals. 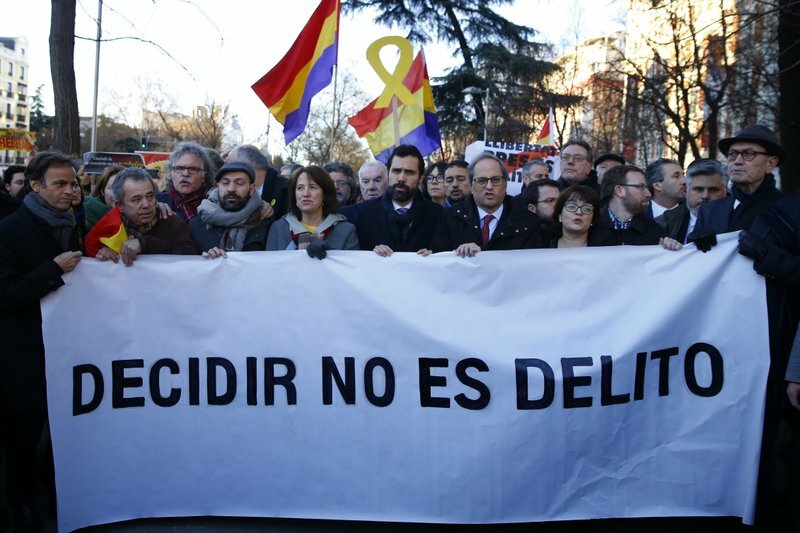 Once they are exhausted, the defense can bring a violation of basic rights complaint to Spain’s Constitutional Court, and then the cases can be taken to the European Court of Human Rights. The national government can also issue pardons. A pardon needs to be requested formally after a conviction and by showing repentance.